Fresh-grown vegetables and herbs are tastier, crisper and even healthier than what you find at the store. There’s also an amazing sense of accomplishment you feel when serving your friends and family homegrown veggies and herbs. 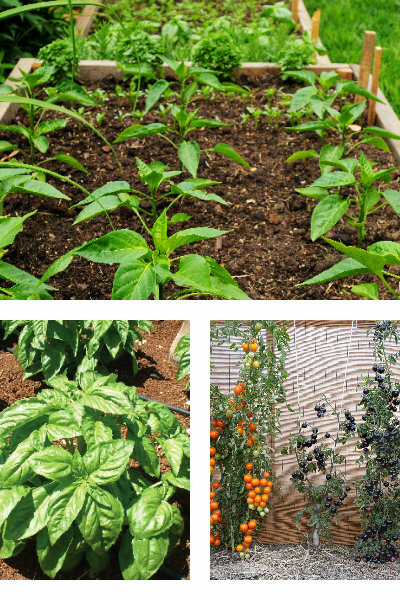 Like any project, growing a vegetable garden requires work, but by learning a few basic skills and techniques, you can really make it a fun experience. Here are five tips and tricks to help create a garden that’s uniquely yours. One of the biggest mistakes first-time gardeners make is planning an area that’s way too large to maintain. When you have success in your first attempt with a small garden, it’s easy to expand from year to year. Start with an area about 6 feet by 8 feet and build from there. With that in mind, pick a spot with as much sun as possible (at least 6 hours each day). Remember that you will have to water your vegetable and herb garden so keep that in mind when choosing the location. Close proximity to a water spigot is ideal, whether you use a hose or watering can. Don’t worry if you don’t have a yard! 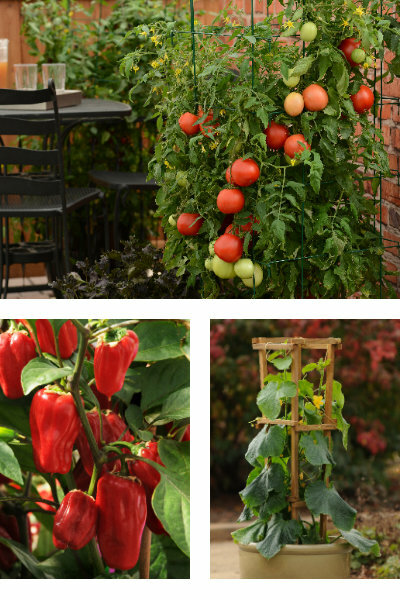 Many vegetables and herbs are excellent in large containers and patio pots. You still need plenty of light, though, so choose a balcony or porch that’s bright and sunny. Once you’ve selected the location, it’s time to dig in - literally. 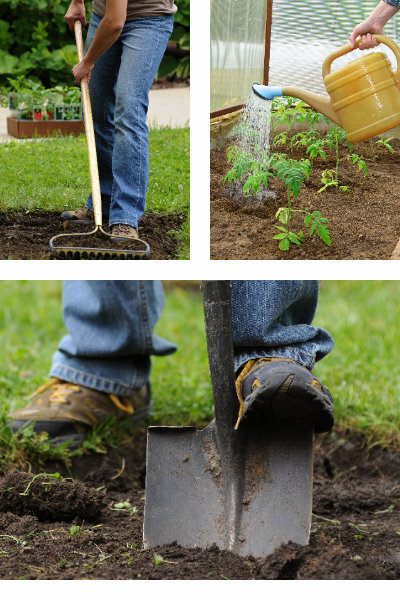 Use a garden spade or metal pitchfork to dig into the ground and break up the soil. Be sure to remove as many stones as possible, as well as all grass and weeds so you are starting with a clean slate. Break up any large clumps of earth so your plant roots start strong. Adding compost and other organic materials will enhance your soil and increase harvests. It’s always a good idea to grab a bag of potting soil to add when planting. 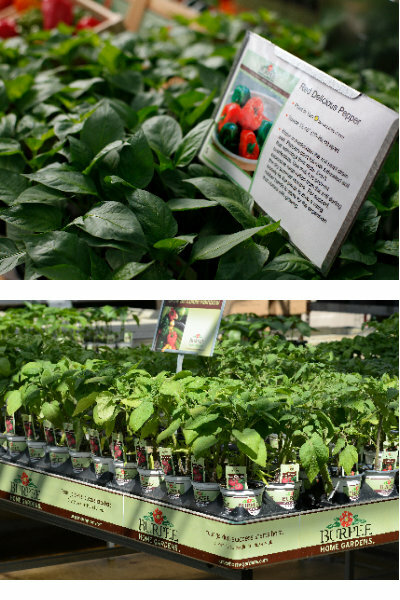 Compost and peat moss are available at most garden centers and also provide an organic boost when planting. Apply an all-purpose slow-release fertilizer twice – once when planting and again halfway through the summer. This will provide enough feed for a great harvest. The key to growing a successful vegetable garden is keeping an eye on it. Watch for signs of disease like discoloring, wilting, and insect damage. Stake large plants as needed and keep air flowing around the lower leaves. Pick fruit when ripe to ensure continuous production. If you have animal friends like deer, rabbits and other hungry neighbors, a light-gauge wire mesh that’s tall enough to discourage jumping is usually all you need. Most importantly, keep your veggies and herbs (in gardens or patio pots) watered well. Because your ideal garden is in full sun, your plants will need plenty of water. Water when the soil an inch below the surface is dry – every two or three days in summer. The easiest way to tell if your plants need water is to stick your finger into the soil; if it feels dry, it’s time to water. To get the full flavor and health benefits from your vegetables and herbs, harvest them when ripe, use when fresh or dry as recommended and don’t overcook them in recipes. Don’t be shy about picking your produce! Use a sharp pruner to remove fruit from vegetable plants and shear herbs as cleanly as possible to keep your plants healthy and productive. The general rule is: if it looks good enough to eat, it probably is. 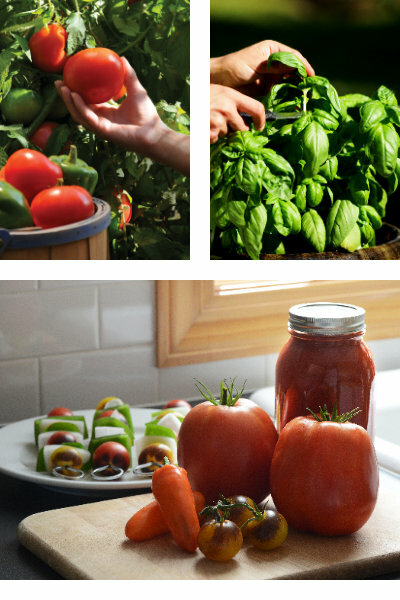 Check out our variety-specific Vegetable and Herb listings for more information about harvesting.